Arietty: Human beings are dangerous. If we're seen, we have to leave. My parents said so. The Secret World of Arrietty is a charming and wonderfully detailed animated film. This is an anime that has come out of Studio Ghibli, which is way more focused on delivering a relaxed story and providing plenty of details through its wonderful hand-drawn animation, than flooding the eyes of its viewers with non-stop wackiness and forced jokes. Now that isn’t to say that this is some sort of animated prestige picture, but it is a film that differs from most mainstream fare. In any case, it is a fine, low-key, but wonderfully made animated feature that is fortunately a part of a fairly-wide theatrical release. The film is an adaptation of the children’s novel, The Borrowers, by Mary Norton. 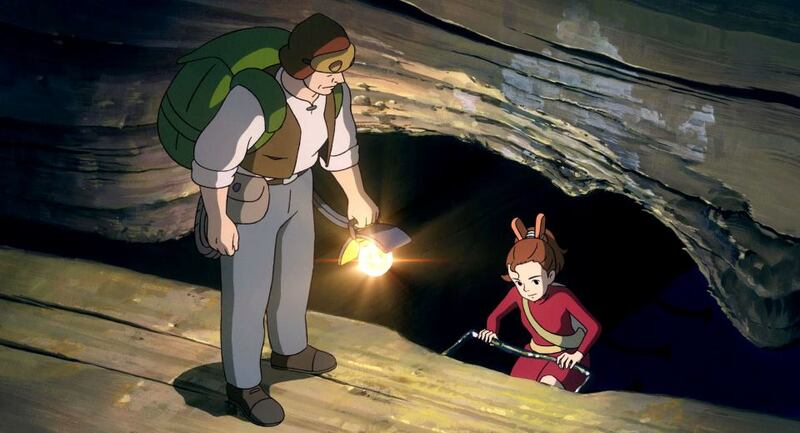 It features a character named Arrietty, who is a young Borrower living under the floorboards of a household. A Borrower is essentially a four-inch tall, human-like creature that lives off of items that they would ‘borrow’ from regular sized humans, whom they refer to as Beans. Arrietty lives with her mother and father, Homily and Pod, and is anxious to start venturing out of her home to the outside world. As she has reached an appropriate age, Pod brings Arrietty along on one of his trips to help get some items (in this case, a sugar cube) from the house they live under. As Arrietty has been decreed ready for this experience, a new Bean has moved into the household. This is Sho (Shawn in the U.S.), a young boy with a heart condition, who is now living with his great aunt and their maid, Haru, in what used to be the house Sho’s mother lived in as a child. 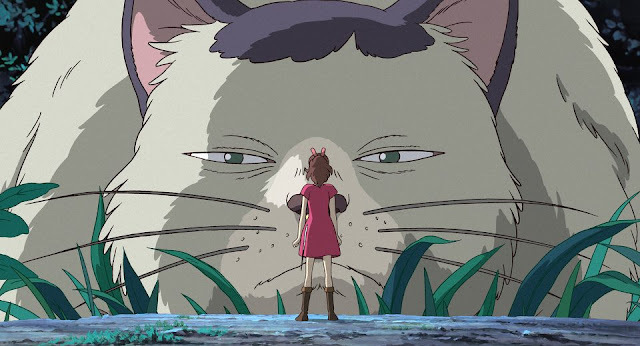 Arrietty is soon discovered by Sho, who is happy to befriend her, despite the fact that Beans are not supposed to know of the existence of Borrowers. Given that Borrowers are thought to be near extinction, further conflict, which prompts Arrietty and her family with the need to move, may make things become more difficult for the near future. 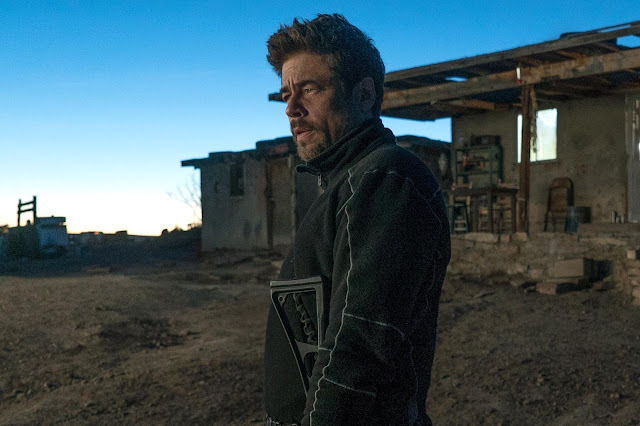 There are a number of factors that kept me very involved with this enjoyable feature, but I think it was the richness of the world that has been presented in this film that kept me most entertained. 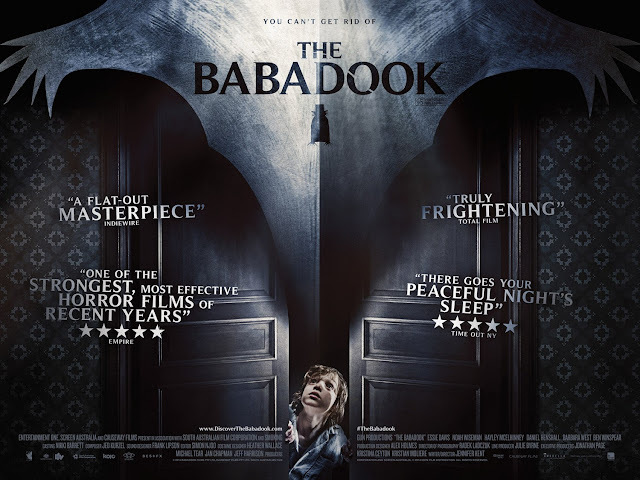 Given that this film involves characters that are both regular human-sized and the size of small insects, seeing the world from both perspectives and watching as the film presented the distinct details that separate these worlds was quite interesting. 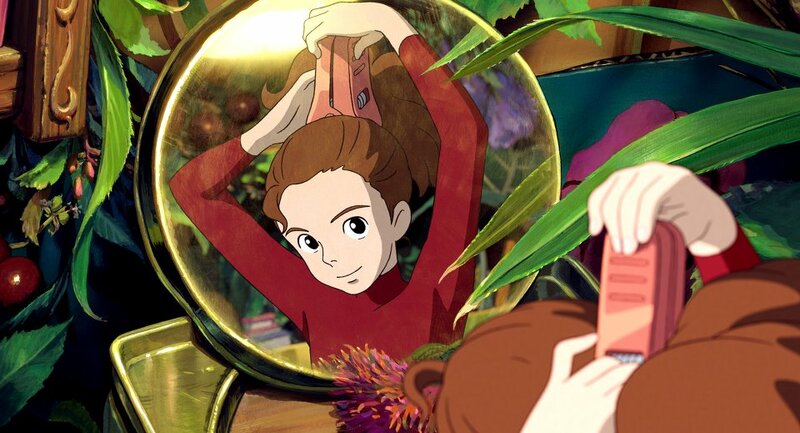 Seeing how Arrietty and her family ‘borrow’ items from Beans and incorporate them into their style of daily living was very intriguing. The use of tape as an adhesive strong enough for Pod to climb up walls or the fact that a tiny drop of tea is enough to fill the little model cups that the family has for use in their kitchen (which comes from a doll house) are all fun little details that this film provides in spades. The music and voice casting was also interesting. I really liked the score for this film. 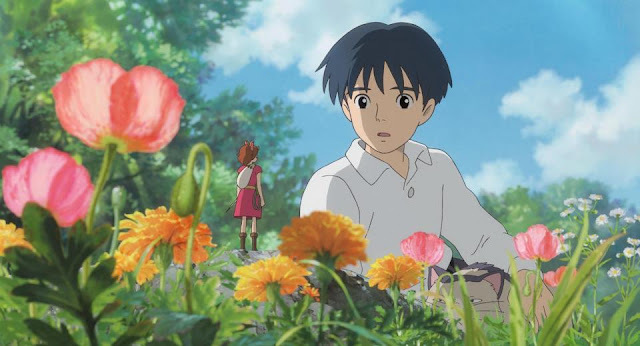 Put together by French musician Cécile Corbel, along with the theme song, there was a nice touch applied to the musical arrangement for the film that feels right in terms of capturing the sense of adventure involved in the borrowing that takes place, as well as Arrietty’s growth, while dealing with what happens during this film. There are some interesting tracks later on in the film as well, which grow a bit darker, given the situations that some characters find themselves in. I think I find the music so important here, due to the fact that the simplistic narrative could have almost led into a more streamlined version of this film, where less dialogue would have almost given this film the same effect. As far as the voices for this film goes, I saw this film with the English dub, as that is what arrives with this U.S. theatrical distribution presented by Disney. While seeing the original versions of these films is generally a preference for me, I have enjoyed the collaboration that Disney and Studio Ghibli have had together in trying to make a worthy English dub track. For this film Bridgit Mendler voices young Arrietty and is joined by Will Arnett, Amy Poehler, and Carol Burnett. Having seen the film this way, I was quite pleased with how it turned out, making me question which version of this film’s audio track I would turn on, were I to see it again. 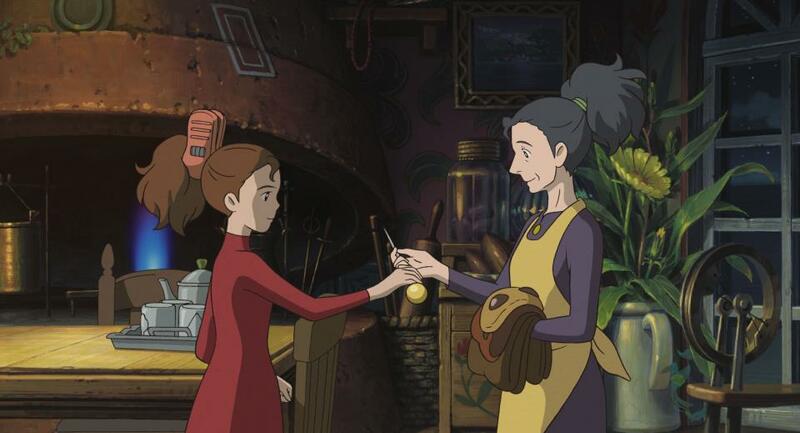 If there is any issue with The Secret World of Arrietty it would involve its simplicity. 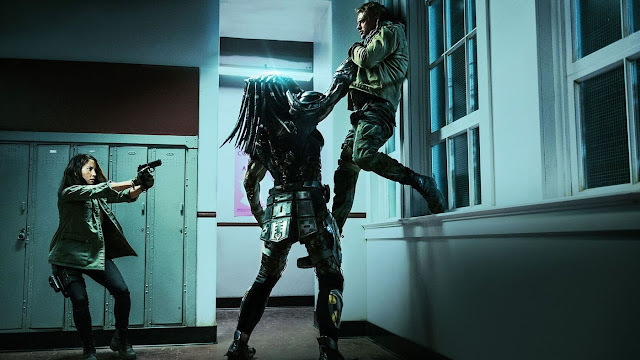 I enjoy how the story in this film plays out, but it isn’t a very complicated film and as a result, I can see how it may feel padded in some areas, as opposed to being a tighter experience, were the runtime to be a bit shorter. It should be noted that this is not a film directed by Hayao Miyazaki (Spirited Away, Princess Mononoke), but only one in which he co-wrote and produced. I point this out, as I am curious as to whether his directorial touch could have made this film into something that is even more than just a very charming and enjoyable animated feature. 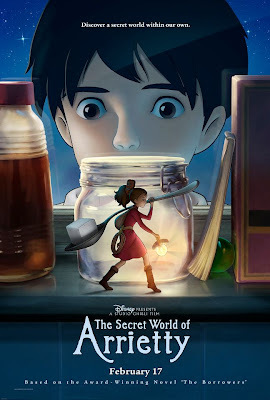 Regardless, as the film stands, The Secret World of Arrietty is quite an enjoyable experience. It benefits from having wonderful animation, rich with details, along with a great soundtrack. 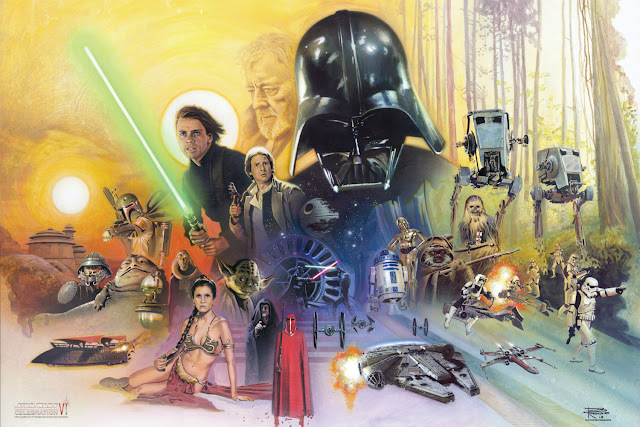 The characters are all quite enjoyable to watch and listen to and the film does a lot of good in being very gratifying in its overall message, without becoming overly sentimental. 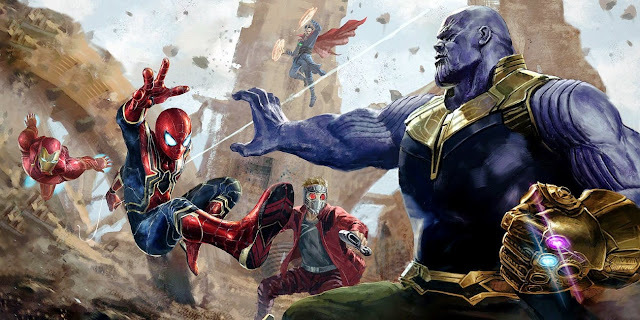 It is nice to see films like this come out, as they should work as entertaining, but worthy forms of entertainment for children (and adults) to enjoy. Homily: Promise you won’t let my daughter be eaten or squashed like a bug.